On 11 March we will hold an official opening of our new buildings, beginning at 9.30am in the school hall. Parents and guardians are invited to join us. Our Federal and State members will be in attendance as well as a number of other specially invited guests. I will give an overview of the project and our School Council Chair, Bishop Charlie Murry will do the formal opening and unveiling of commemorative plaques. Congratulations to Lightfoot who won the Swimming Carnival last Friday. There was an excellent College spirit shown by all the students and many determined performances by the competitors. Thank you to Mr Beecroft, our SS Sports Co-ordinator and to the staff, students and parents who helped and attended. Our Korean visitors leave us on Monday to head home. Thank you to the families who hosted the students - your generosity in sharing your home makes these visits possible. Increasing inter-cultural understanding is a very valuable part of the education we can provide our students and those from South Korea. We will have a farewell assembly at 11.30am in the hall on Monday, to which host families are invited. 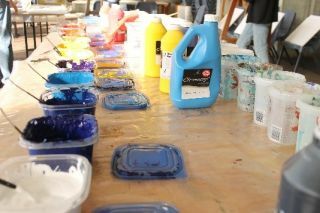 The Year 12 Retreat was held this week, concluding today. This is a time for them to relax in each others’ company in a lovely rural setting and to have time to reflect on their time at school and the coming few months. 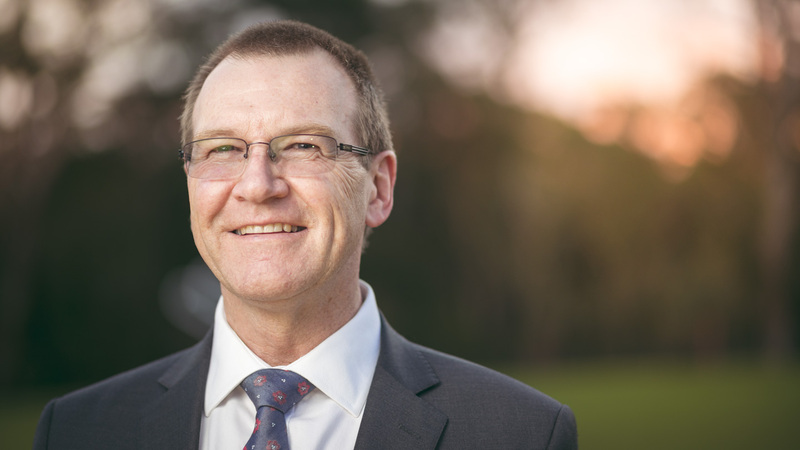 Thank you to our Senior Chaplain, Matt Shorten, who organises the retreat every year and strives to make it as engaging and as fun as possible. If you have a child ready to start school in 2020, we would like to invite you to our 2020 Kindergarten Information Night and Twilight Tour. To register to attend please email enrolments@lakes.nsw.edu.au or call 4393 4111. This week sees our Year 12’s heading off on Retreat together, effectively their last school camp as students and for many there will be tears. It can be quite an emotional time. We run Retreat at the beginning of the year in order to try and help our Year 12’s make positive choices in their relationships. These positive choices in turn help them to collaborate more effectively and apart from having a more harmonious school environment, research has shown that academic results improving is a wonderful side-effect. By creating the time and space away from their normal day-to-day, our Year 12’s will have a chance to reflect on who they are, where they are headed and how they might get there. Hopefully the poor wi-fi and appalling phone signal strength will help too. In the New Testament we see Jesus modelling this kind of action when he retreats to a quiet place, sometimes on his own or sometimes with a few friends, in order to take stock and rejuvenate. By removing ourselves from the ordinary and allowing ourselves the opportunity to reflect, we too open up the possibility of God meeting us in those moments. We don’t necessarily have to head into the wilderness or up a mountain like Jesus, but sometimes that is just the ticket for bringing refreshment. Who we are with can be critical too in order to obtain the maximum benefit from the experience. Let me encourage you to make time on a regular basis to create a space where you have a chance to self-reflect…it is good for the soul. By the time you read this we will be back from retreat and hopefully our Year 12’s will have made the most of their time. In just under 8 months they will be sitting for their final school exams in the HSC. Our hope is that what we have shared with them will be enough to launch them into the next chapter of their lives. I also hope that some of our practices, like retreat, may become incorporated into their annual practices for maintaining wellbeing. In this world, we need all the help we can get. 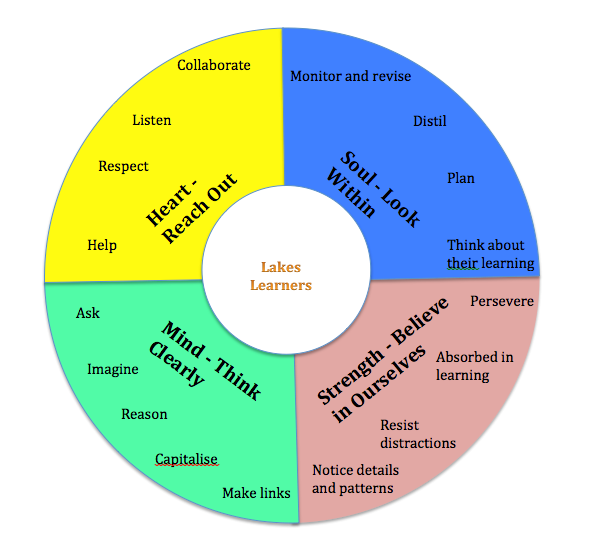 The Junior School utilises the learning framework of Lakes Grammar Habits to effectively integrate our Building Learning Power, Positive Behavior for Learning and Virtues programs. Amarlie M, Alexis V, Evie P, Annabelle C, Lucy W, Bronson C, Ashley W, Logan H, Mia S, Angelina A, Grace M, Marianne D, Cohen B, Abhishek B, Keira R, Clair W, Ngalan A, Stephanie A, Emily D, Sage K.
Emerson H, Quinn R, Isabelle G, Jorja B, Cheyanne R, Addyson H, Jensen B, Elyse C, Amy W, Jacob K, Vaishnavi S, Kane M, Isla Y, Claire H, Grace C, Mekenzie J, Joel S, Isabelle M, Lawson L, Giselle S.
Bridget Hill, Cooper Herlings, Hayley Ostergaard, Ravi Francke, Ella Williams and Quinn Flower. The Junior School Leadership Day at Treetops on Wednesday, 20 February was a wonderful success with the Year 6 School Leaders working through the activities on the day in a mature, intelligent and reflective manner. We are blessed to have such a talented and capable team of Student Leaders to commence 2019 with the brainstorming of a number of initiatives for the School community. Thanks also go to our Chaplain, Peter and Mr Johns, whose organisation of the Leadership Day and ongoing work with the School Leaders contribute immensely to the development of such a successful team each year. The day presented a good opportunity to work with our Chaplain, Peter, to reflect on Biblical perspectives of leadership, develop our communication skills, challenge ourselves to think and communicate under pressure, try new things and to work as a team on the high ropes course as well as developing some plans for the Junior School as a leadership group in 2019. We enjoyed the opportunity to grow together as leaders and to plan for a range of initiatives whereby the students are able to carry out their roles within the school this year. A huge thank you to the leadership group for the example they are setting to others in the classroom, the playground and in a range of co-curricular activities. Summer uniform is worn in Term 1. Students MUST wear a hat at all times when outdoors. I would encourage all parents to ensure that their child’s hat is clearly labelled with their name and to have a spare hat in their child’s school bag in case one goes missing. We do not encourage children to share their hats with others for creepy crawly reasons! As you would be aware, the School opens at 8.00am and teachers are on duty to receive children in the Main Courtyard underneath the COLA from this time. 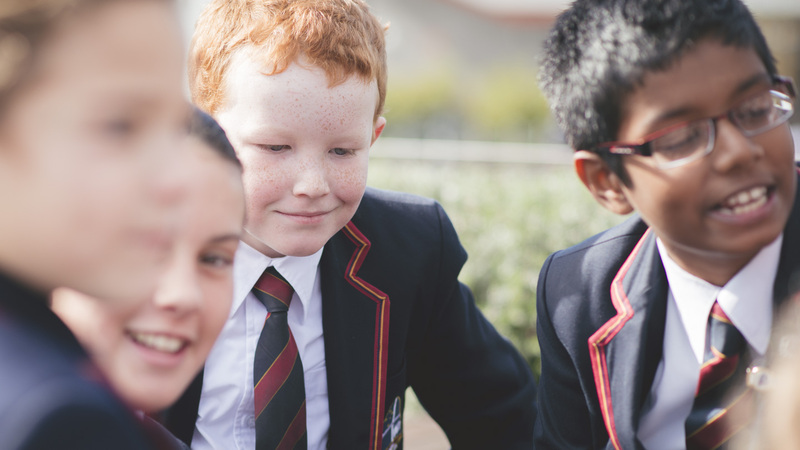 While many teachers are on the premises before 8.15am, they need to use this time to prepare for the day ahead and to meet with colleagues or parents. Please ensure that your child is not dropped off at school before 8.00am unless they are booked into Sunbeams for Before School Care. There is no supervision available before 8.00am. A reminder that the K - 2 play equipment area is not open for use by children until 8.22am each morning. This is to ensure that we minimise the likelihood of accidents occurring during the morning period. I have also reminded the students that the use of the equipment before this time is not acceptable. I would ask that you assist us by ensuring that younger siblings refrain from climbing on equipment in this space while waiting to drop off K – 2 students. A reminder that we also have a “no dog” policy on the School grounds. My sincerest thanks for your patience this year with the traffic and parking congestion around the school. The first weeks are always busy with children needing assistance with bags and the like and families enjoying a catch up in the grounds. To ensure that drop off and pick up times remain as streamlined as possible, I would ask for your assistance with the following. Please ensure that when using Kiss and Go that children get out of your vehicle on the kerb side only, with their bags. Getting out of your car to assist with bags from the boot and hugging your child goodbye can hold up the queue considerably during busy periods. It is dangerous for any child to get out of their car on the road side of ‘Kiss and Go’ as they are close to the through traffic. Please use only the marked pedestrian crossing directly in front of the school to come and go from the carpark. A lot of families are using the speed humps in the carpark as pedestrian crossings… but these are not pedestrian crossings and it is dangerous to cross the road through the Kiss and Go queue. Kindergarten students and their siblings attending Parent Park can be collected from the new deck at the end of the verandah, past the Junior School Library and near the new STEM room. 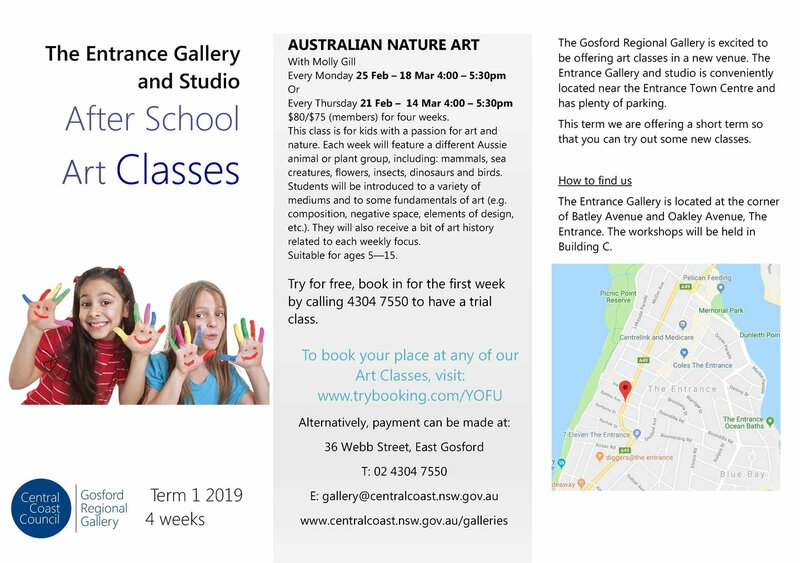 Students in Years 1 – 6 will continue to be collected from the verandah area at the front of the Junior School Library. This will help the Kindergarten students to be able to meet up with their parents as smoothly as possible. I would also like to request that parents refrain from standing directly in front of the metal gate at the front of the school when using Parent Park as this obstructs the ‘Kiss and Go’ and Bus groups from exiting the school in the afternoon. Please wait until children are seated before collecting them from Parent Park as this helps our teachers to ensure that all students meet their parents safely. Parents are also asked to walk up to Parent Park to collect your child or children. I hope that the start of the year has been a smooth one for your family and I look forward to a busy and engaging year with your children. As you would be aware, the Junior School Library is currently closed for repairs due to flooding from a burst water pipe. Repairs have been running relatively smoothly, and we will now been able to commence limited borrowing with all classes. Our normal full library routine will commence from the beginning of week 6. We have many exciting activities in the JS Library already scheduled for the year including Book Fair, author visits and Book Parade – stay tuned for more information. Once again, students are invited to participate in the PRC 2019. Information and reading logs are being sent home with students either this or next week. Please sign the registration form and have your child place it in the PRC box on the Library desk. This term, Kindergarten will be looking at classic picture books, including Nursery Rhymes. Year 1-4 will be learning about the JS Library and using skills to utilise it. Year 5 will be studying a sustainable unit on Rainforests and Year 6 / OC will be studying Aboriginal Rights (including Information Skills). Due to the disruptions to Library this term, we will be starting with our library helpers from next term. Congratulations to all our year groups in the Junior School for their attendance in Week 2. Congratulations to Kindergarten, Year 2, Year 3 and Year 5 in Week 3. 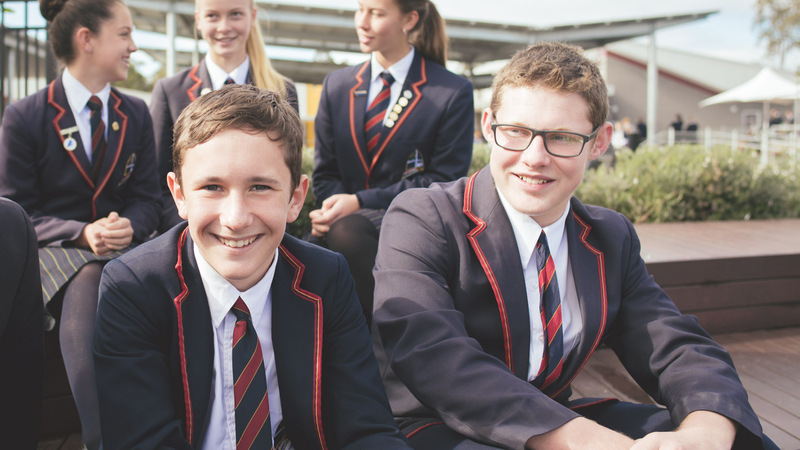 Our Year 12 Parent Teacher interviews are scheduled for Tuesday, 5 March from 3:30pm to 7pm. Bookings for interviews will be made through Parent Lounge, and Year 12 parents should have already received instructions by email. The booking system will go live on Monday. Our first Parent Teacher interviews for the year are scheduled for Tuesday, 19 March and Monday, 25 March, from 3:30pm to 7:30pm. Bookings for interviews will be made as usual through Parent Lounge, and parents will be emailed instructions in early March, nearer to the time when the booking system becomes activated. Just a reminder that any change of subject for Year 11 students need to be finalised by next week. Students will not be able to make changes after the end of February. The NSW Education Standards Authority (NESA) make certain provisions for students completing their HSC exams. These might be in the form of food (for diabetic students), toilet breaks, small group supervision or reader/writers. However, students need to apply for provisions in advance – they are not automatic, and for transparency, independent evidence is required to support each application. 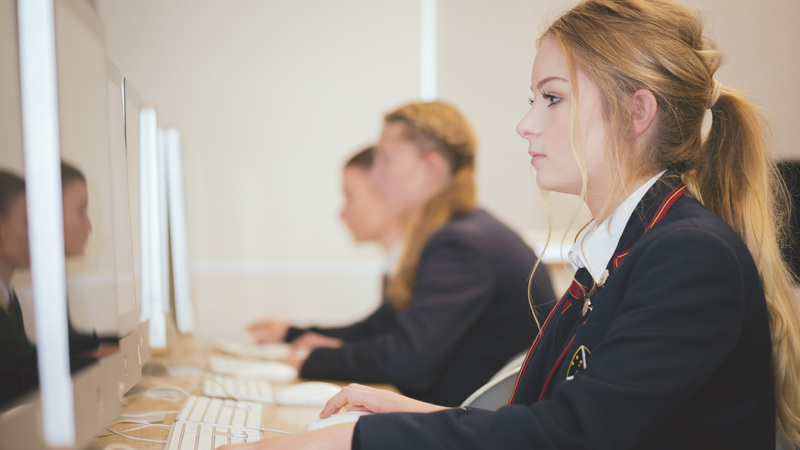 We have already sent information out to students who might qualify, however, if your child has a particular need that we are not aware of, then please contact Mrs Gorham in the Senior School for more information. Applications need be completed and sent to NESA by the end of Term 1. 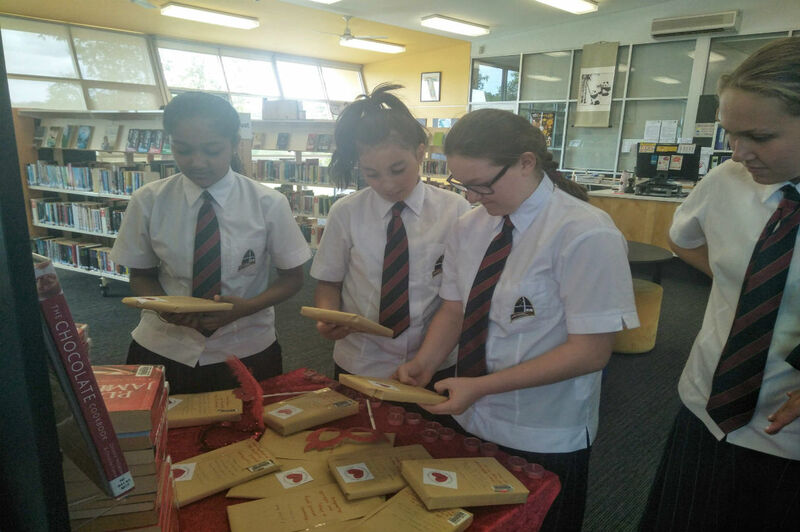 Last Thursday, 14 February not only was it St Valentine’s Day, it was also Library Lovers’ Day and the Senior School Library recognised and celebrated this event by inviting students to go on a ‘Blind Date with a book,’ where a book wrapped in brown paper could be chosen and borrowed from the display. A number of titles were quickly loaned during a very busy lunchtime! 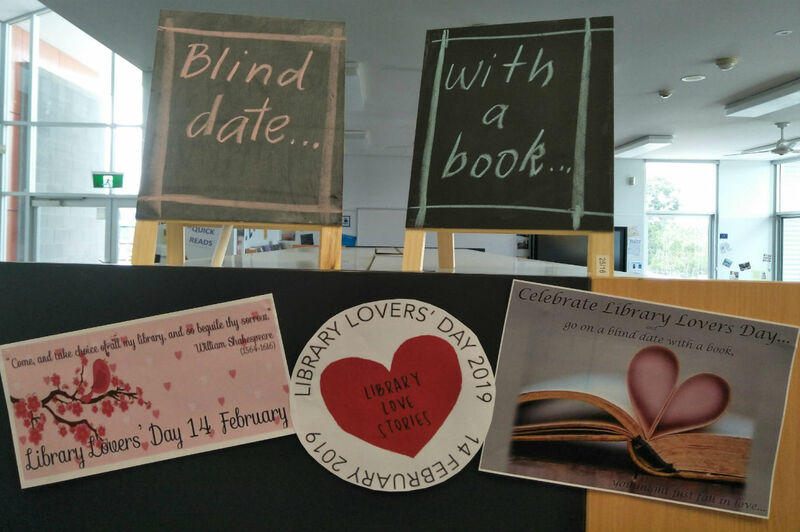 Staff and students were also asked to complete the following, “I love libraries because…” I think the display speaks for itself. There is another display in the early stages, where staff and students are recording what their favourite book, series or author is, see the update in a future newsletter. The Junior School Swimming Carnival was held on Wednesday, 6 February at Mingara One Swim Centre. 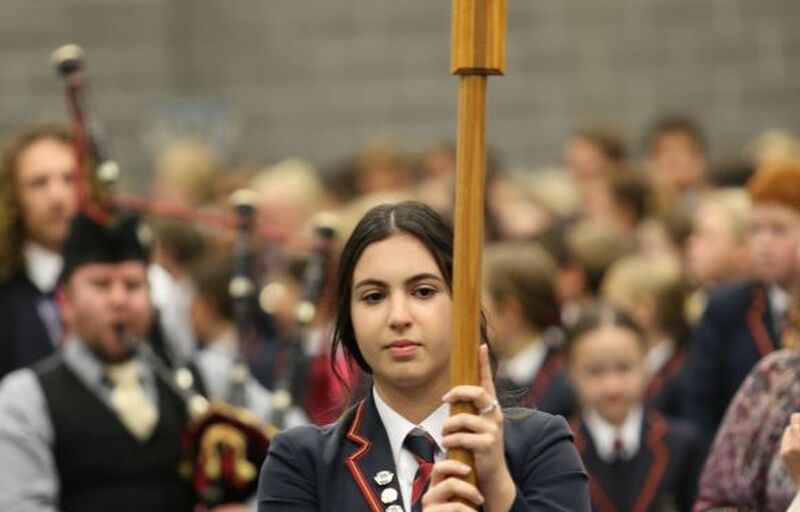 God blessed the day with safety, joy and peace as this year’s carnival saw a high number of students compete and participate in various disciplines. The spectating gallery was also very supportive of the students and cheered on from the pool deck throughout the day. I would like to say thank you to all students for their good behaviour throughout the carnival and for trying their best in every race. Thank you also to the Lakes Grammar staff and Year 10 PASS Students for their contribution in very warm conditions. A special mention to Mrs Robin Shepherd for her hard work and organisation behind the scenes with setting up the administration for the carnival. I wish our students who qualified to represent Lakes Grammar at the HRIS Carnival on Thursday, 7 March all the best on the day. Zac Clifford, Lachlan Murray, Austin Murray and Corey Holmes competed at HRIS Tennis at Broadmeadow on Tuesday, 19 February. The boys were very competitive in their matches, enduring hot, humid conditions. They came third in their pool, just missing out on making the final knockouts. Our Senior School Swimming Carnival was held at Wyong Pool on Friday, 15 February. A fun and competitive day was had by all students. Full results are posted on the school sports notice board. Wednesday, 13 March Division 2 HRIS Swimming Championships will be held. Those students selected will receive a permission note soon. It was great to see a number of students at cross country training last Thursday. I hope you are all keen to continue training again this week. Remember to bring some friends along and encourage parents to walk/run the track while group training is taking place. Cross country training will continue each Thursday and we would love to see you there. Meet at 3:55pm at Warnervale cricket nets. We have a number of students competing in this event. We wish them best of luck. Dates of trials will be posted on school sports board and announced at assembly. The following HRIS Trials are coming up. To trial for these teams it is expected that students are playing in local representative teams or at a very high level. These trials are attended by 16 other HRIS schools. If you would like to attend, please see Mr Beecroft for the nomination details. Keely Bogle will compete in the NSWCIS Softball Championships on Monday, 25 February. We wish her best of luck. 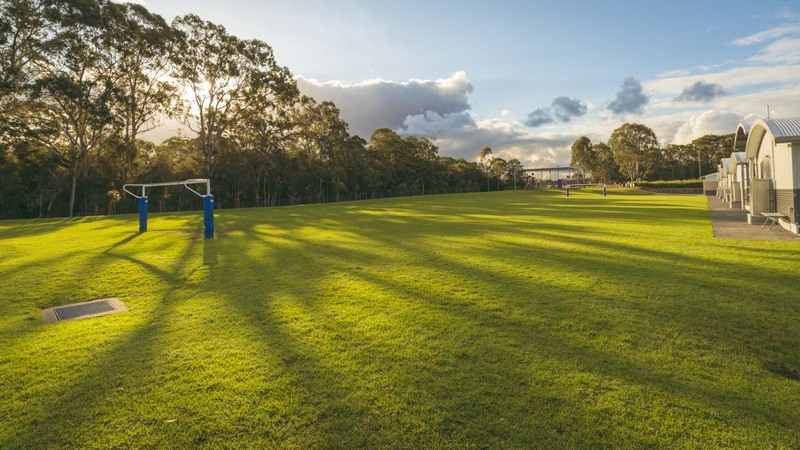 Warnervale Rugby club are looking to form a partnership with Lakes Grammar and will assist wherever possible in the development of our rugby program. They have offered us access to on and off field equipment with training. This is a great opportunity for our school and one we look forward and a partnership we look forward to building into the future.